Tricycle Ice Cream at the Hope Street Farmers’ Market. Gourmet ice cream sandwiches. I’m glad someone finally had this genius idea, and even happier that they’re in Providence. 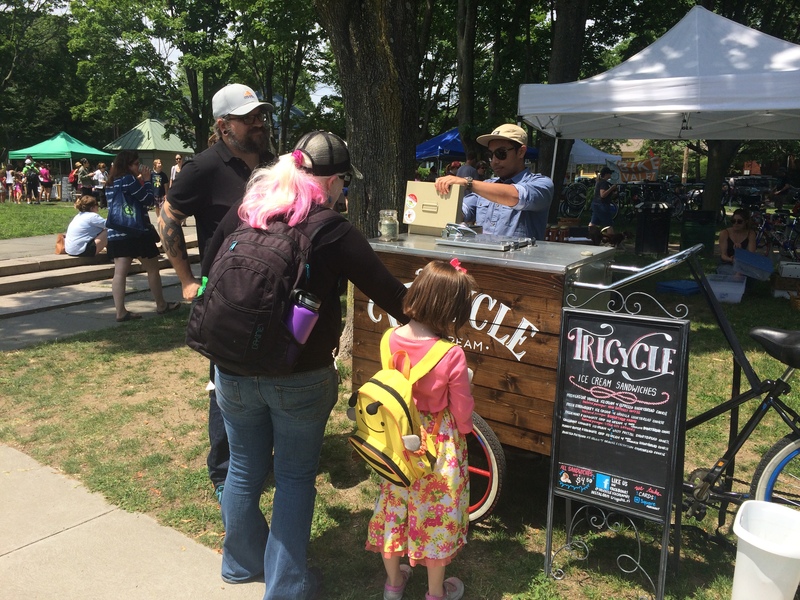 Last weekend, I had the chance to try Tricycle Ice Cream at the Hope Street Farmers’ Market, nevermind that it was only 11 am, and I hadn’t yet had lunch. 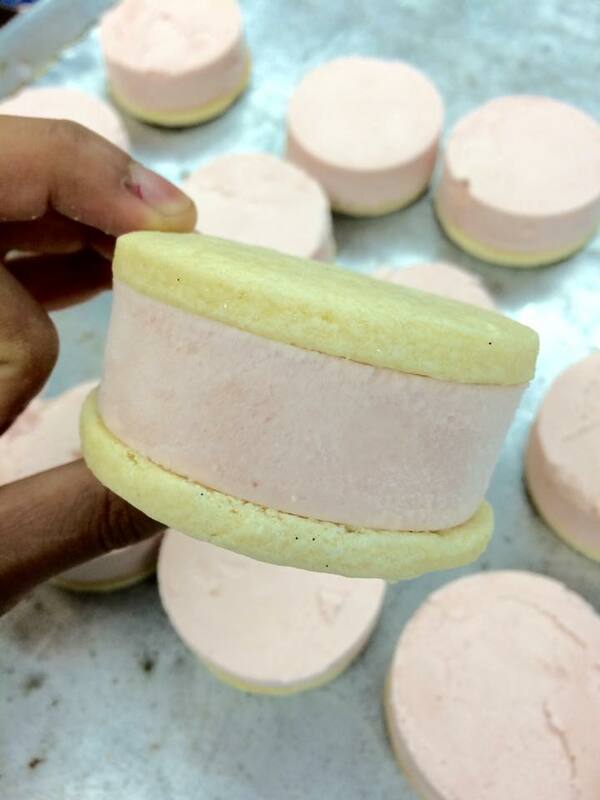 Strawberry ice cream between two vanilla shortbread cookies. Their flavors change regularly, but apparently that day the strawberry ice cream between two vanilla shortbread cookies (made with local strawberries from Salisbury Farm) was so popular they brought in an extra delivery during the market. Its popularity was well-deserved too, tasting as good as one of my summer favorites, strawberry shortcake. The only downside: you have to wait a minute or two for the ice cream to melt when you get it. That can seem like a long two minutes. At Farmers’ Markets throughout Providence, Pawtucket and Newport. See www.tricycleicecream.com for their list. We loved their chocolate ice cream with hazelnut(?) cookie when we tried them last summer.